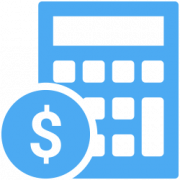 For this role, you need not be a CPA or accountant but an understanding of basic business accounting and a passion for managing budgets are essential. The person in this position will also serve on our Executive Committee and will help advise on the direction of the organization. The person in this position would serve on our board of directors alongside our current Communications Chair. This role requires strong communications skills and the ability to help us facilitate more in-depth conversations with our members. 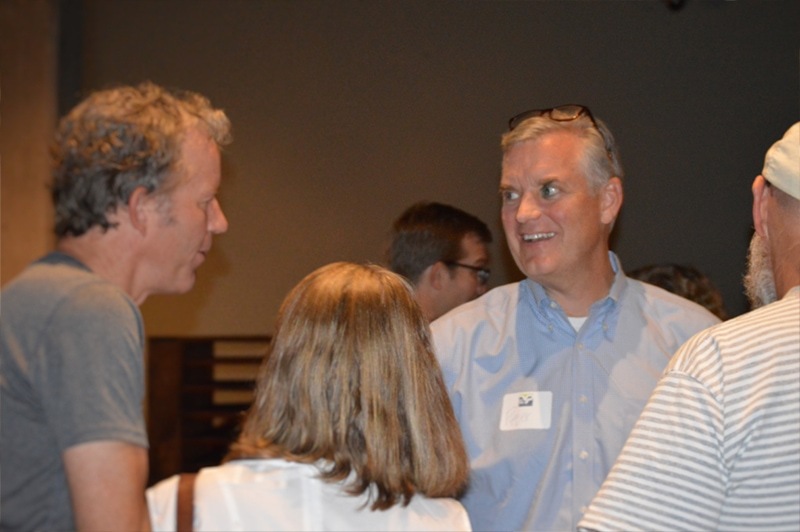 We have the need for 2-3 additional committee members who can us plan, promote, and interact with other business owners at our monthly educational and social events. Good planning and communication skills and a passion for meeting and networking with other local business owners are a must. We have the need for 2-3 additional committee members who can us with our upcoming membership drive. 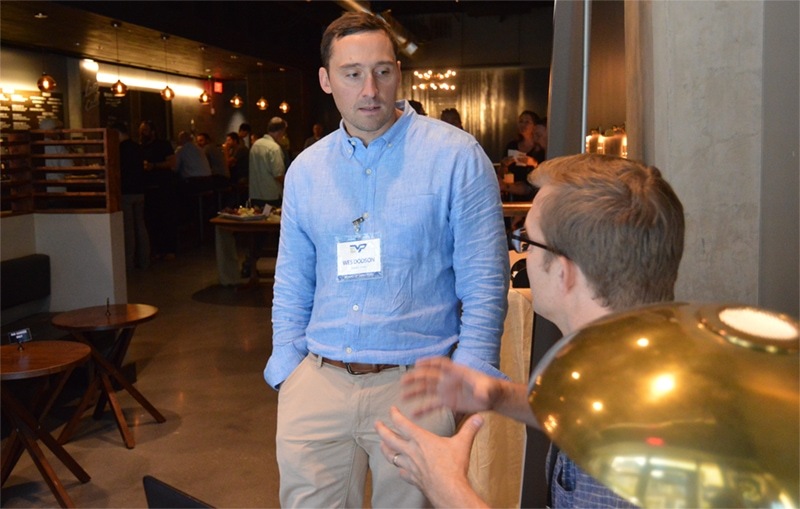 If you have a passion for helping connect local business owners with our advocacy, education, and mentoring programs we’d like to talk with you. We’re going to begin capturing and sharing video of our educational events and we’re looking for a local videographer and/or video editor who can help with this process. Compelling graphics are instrumental to effective communications. If you know your way around Photoshop and Illustrator and have an eye for good design, we need your help. Being your own boss, controlling your own destiny, pursuing your dream – all reasons why you might have chosen to start your own business. But as small business owners we face some unique stressors – financial stress, professional isolation, long hours and blurred boundaries between home and family life. All of these factors can have a huge impact on our mental health. 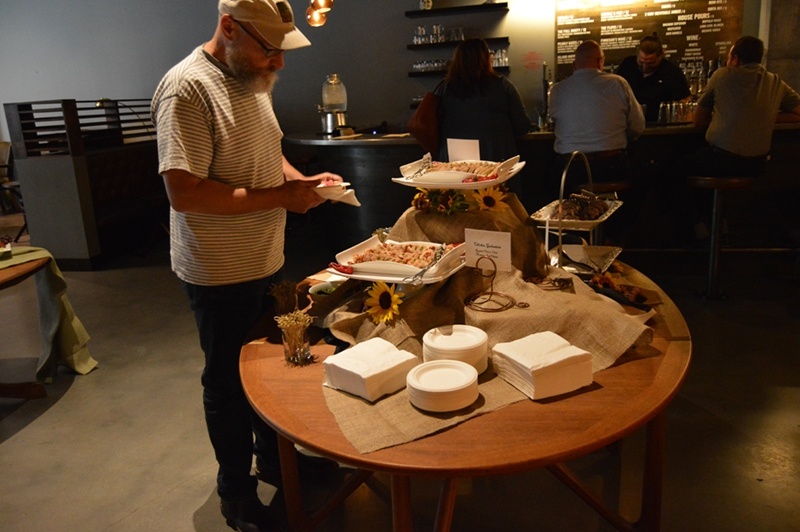 On Wed., Sept. 20th Vest Pocket presented the first event in our Mental Health For Small Business Owners series. 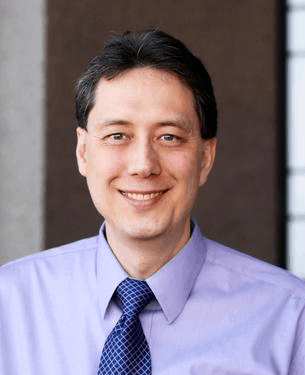 Speakers included clinical psychologist Steven J. Chen, Ph.D., licensed clinical social worker Ed Peterson, (owner of Sugar House Family Therapy), and Steven Beal, certified neurokinesis trauma therapist and Reiki master teacher. 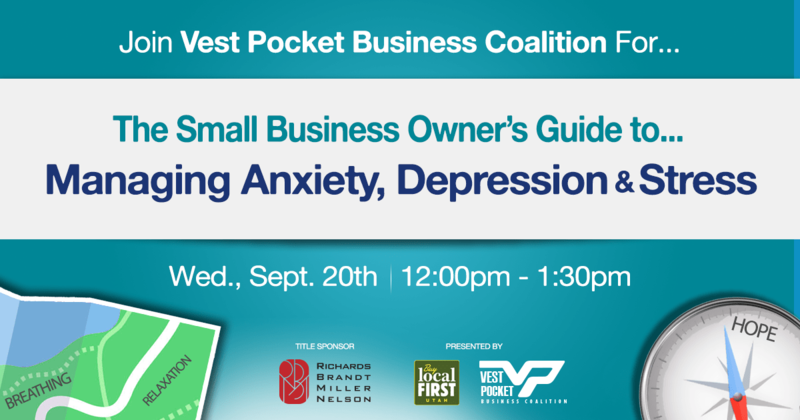 In the coming weeks Vest Pocket Business Coalition will be announcing two additional events focusing on Mental Health for Small Business Owners which will be presented in the next six months. Steven was trained in Clinical Psychology and obtained his Ph.D. in 1992. He has worked at a Veterans Administration Hospital assisting our servicemen and women in working through PTSD and other challenging problems. Steven was Director of Psychology at the Utah State Hospital for five years, overseeing the psychological assessment and treatment of several hundred patients. He was responsible for a full psychological staff and psychology trainees during his tenure. He then worked as Deputy Director of the Department of Substance Abuse and Mental Health (DSAMH) with an annual budget of $100 million and overseeing 20,000 lives in the state of Utah. 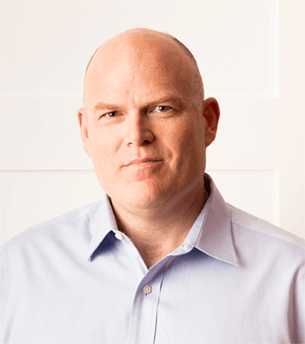 Since 2000, Steven has worked as an organizational consultant specializing in helping CEOs and top level executives identify, develop, and accelerate individual, team and organizational performance through maximizing high achieving human behavior. Steven has worked with several thousand individuals, teams, and organizations over the past 29 years. His focus is on assisting senior leadership in reaching critical goals through ensuring the right individuals are in the best suited roles, and assisting transformational change for success. 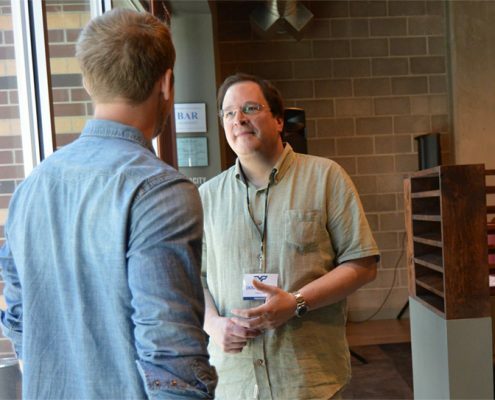 Ed is a licensed clinical social worker and psychotherapist in private practice in Salt Lake City, Utah. 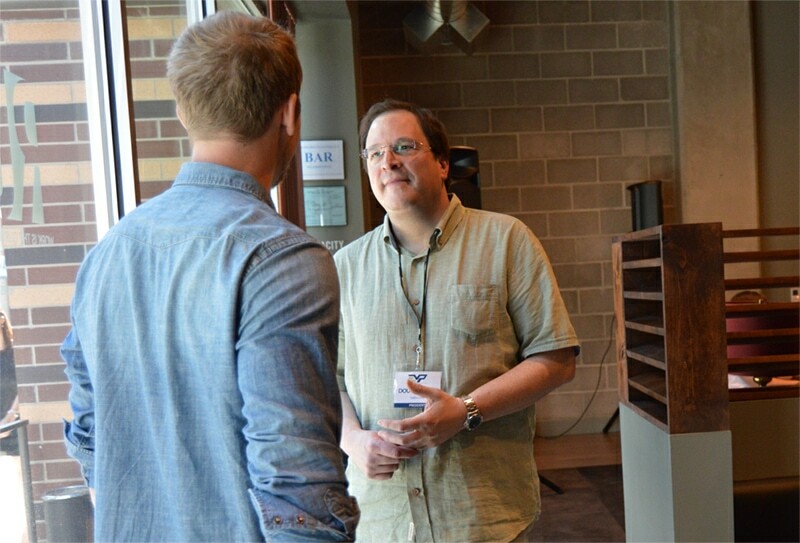 He is also the Clinical Director of “the block” a substance abuse Intensive outpatient program in Salt Lake City. 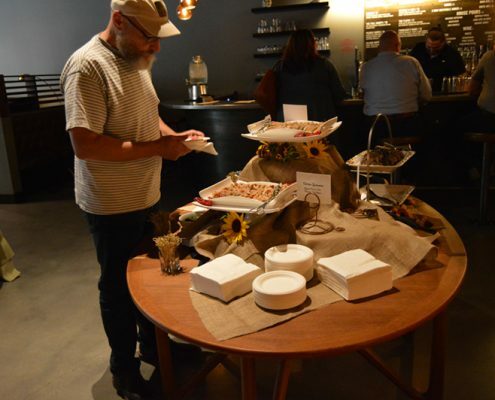 “the bloc” is owned by Balance House, a nationally renowned recovery program and sober living home. Ed also owns and operates Sugarhouse Family Therapy. Ed works mainly with adults age 18-75. He specializes in therapy for addiction, trauma, families, codependency, relationships, marriage, mood disorders, and anxiety disorders. 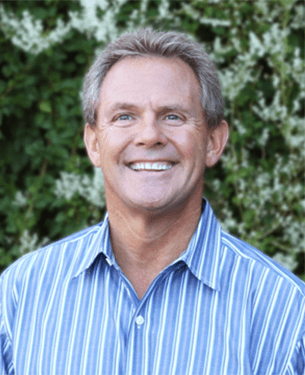 Ed’s experience and training is in the following areas: Emotionally Focused Therapy (EFT) Couples Therapy, Jungian Therapy, Cognitive Behavioral Therapy (CBT), Group Therapy, Gestalt Therapy, Mindfulness, and Mind-Body bridging (MBB) for trauma. Ed worked as a therapist and primary counselor for five years at Cirque Lodge, a world-renowned drug and alcohol treatment center in the mountains of Utah. 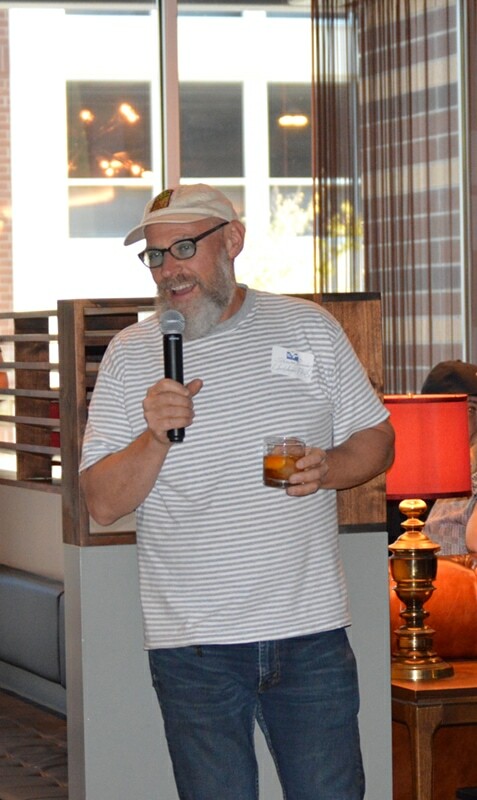 Ed’s Cirque Lodge experience taught him the skills of addictions therapy, the skills of family work, and ignited in him a passion for recovery. While at Cirque, Ed delivered a monthly lecture titled “The Family System of Addiction” during the Cirque Family Week. As a recovering person, Ed understands the devastation and destruction that addiction creates for addicts and their families. Ed’s style is highly encouraging to his clients. He encourages them to take calculated emotional risks and to do the hard emotional and spiritual work needed to heal and recover. He believes that families need their own programs of recovery and he teaches families the skills to improve family communication, improve self-care and increase personal serenity. Ed also believes that families can recover from the pain and suffering of codependency if they will learn to love appropriately, maintain healthy boundaries, and practice self-care. Ed cares deeply for the process of growth and change. This month we profile Vest Pocket Member Babs DeLay, founder and principal broker at Urban Utah Homes and Estates. 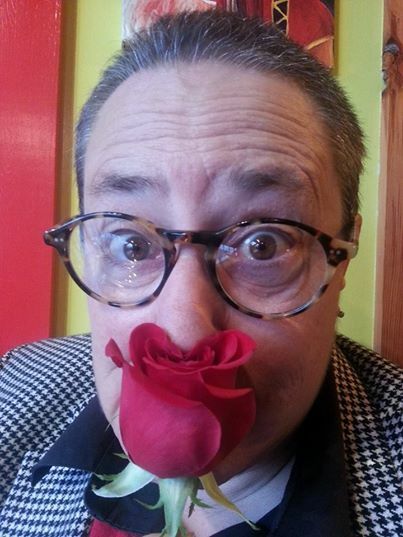 Babs was also this year’s recipient of Vest Pocket’s Richard M. Wirick Lifetime Achievement Award. 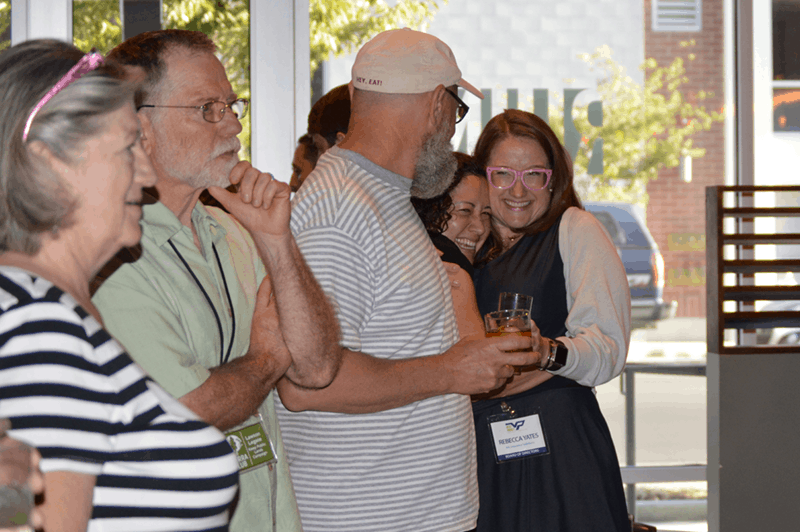 This award honors a local entrepreneur or business leader who has contributed to our economy and our community through his or her efforts of focusing on local independent business issues and supporting the vitality of the local business community. 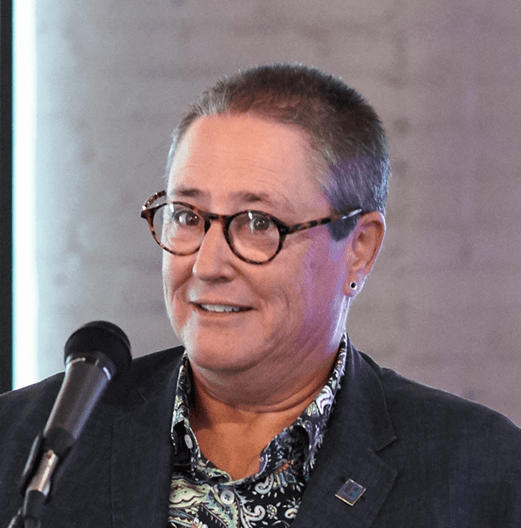 As a savvy businesswoman and activist, Babs has left her ‘green’ stamp on this city, not just by giving back and inspiring others to do the same, but also by practicing what she preaches, in all forums she dabbles in. Babs is very accomplished in the business arena. After working as a licensed realtor since 1984, she founded Urban Utah Homes and Estates in 2001 and remains the principal broker. Babs works and lives downtown in the Dakota building, and saw a need to house her real estate business there to service the urban areas as the population in Salt Lake City continues to grow. She focuses on senior citizen estates, downtown east-side residential property listings and sales, and new downtown development and condos. Her office is environmentally responsible and the brokerage was the first E-2 certified real estate brokerage in Salt Lake City. Babs is a nationally recognized instructor in real estate marketing and was awarded the Distinguished Real Estate educator in both Utah and nationally. Babs served a voluntary, 8 year-term, as the Salt Lake City Planning and Zoning Commissioner. 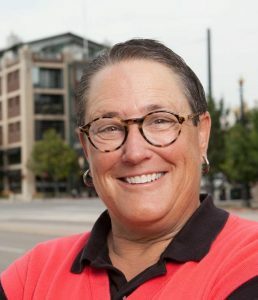 She also served for 5 years as a Director of the Salt Lake Board of REALTORS, as well as the past President for the Salt Lake Chapter of the Women’s Council of Realtors. 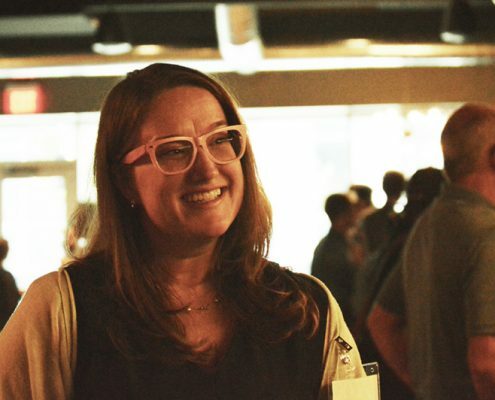 Babs’ community involvement parallels her business accomplishments. As an activist and champion of public service, Babs does not shy away from the issues facing women, or our community. A few other volunteer positions she has had over the years, illustrates her commitment to creating positive change. In her free time, Babs plays on the Bonneville Golf team. Having grown up with her father who played with professional golfers like Arnold Palmer and Jack Nicklaus, Babs learned the sport, and she has been playing ever since. She is also an artist, carrying a pad and small set of coloring pencils with her and sketching mementos daily of her surroundings or places she visits. Babs De Lay is one of those people who soldiers on, even in the face of adversity. She does not get discouraged by the countless neighbors she faces daily that are in need of help, or the never-ending issues that surround sexual violence. Her desire to institute change in her community is obvious in the work that she does every day, both on a professional and personal level. Babs is a tireless seeker of possibilities. 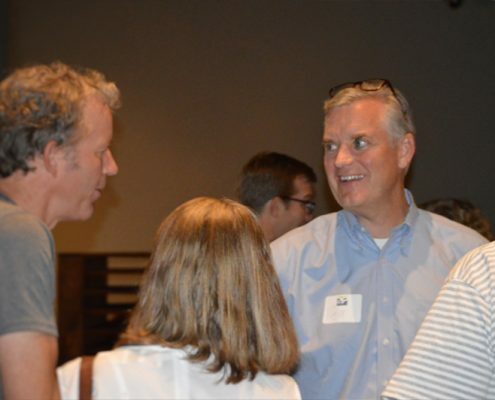 Each month Vest Pocket Business Coalition spotlights one of our members who is an exceptional business leader and advocate for local, independently owned businesses. 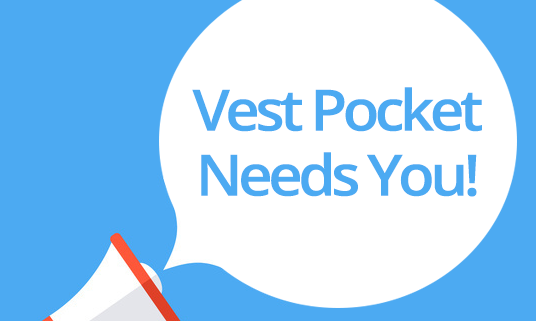 If you’re not already a member of Vest Pocket, please join! 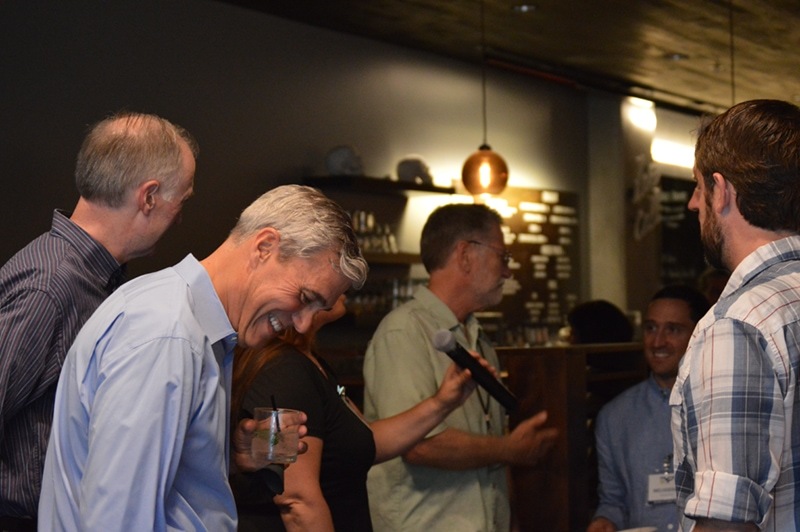 Our Coalition & Cocktails event on August 17th was a great success. 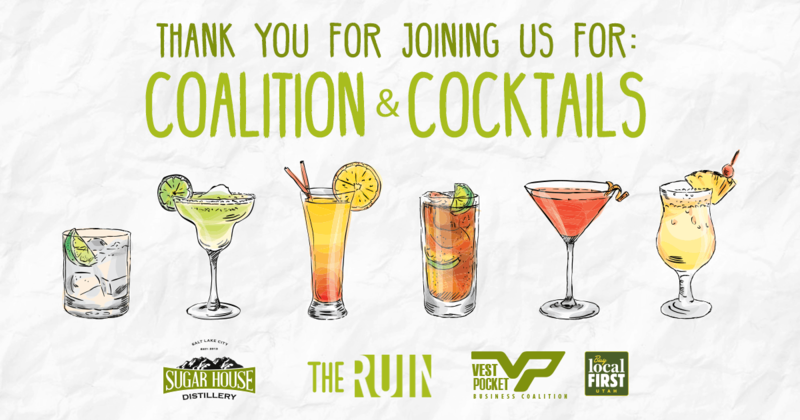 Thank you to all that attended with special thanks to Amy Leininger and Rheda Fouad of The RUIN for hosting the event, James Fowler from Sugar House Distillery for donating vodka for our signature drink (The Coalition Cooler), and to Candace Pulli and Chef Shaun of Lazy Day Café for catering for the wonderful food. 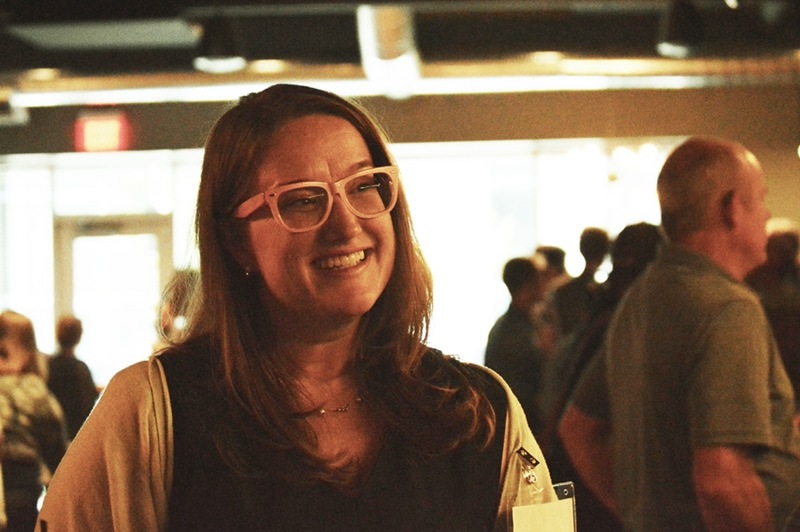 Special thanks to Vest Pocket Events Committee Chair Rena Ferguson who produced the event! 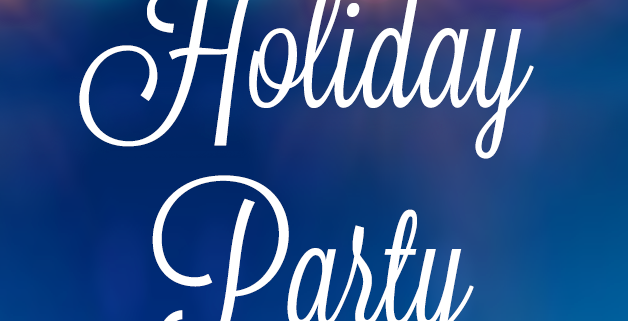 Our Holiday Party is just around the corner! 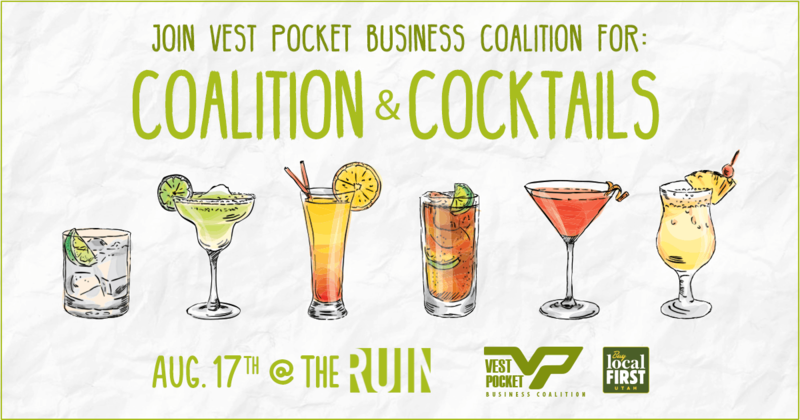 Come mix and mingle with your friends at Vest Pocket Business Coalition the evening of Thursday, December 7, 2017. 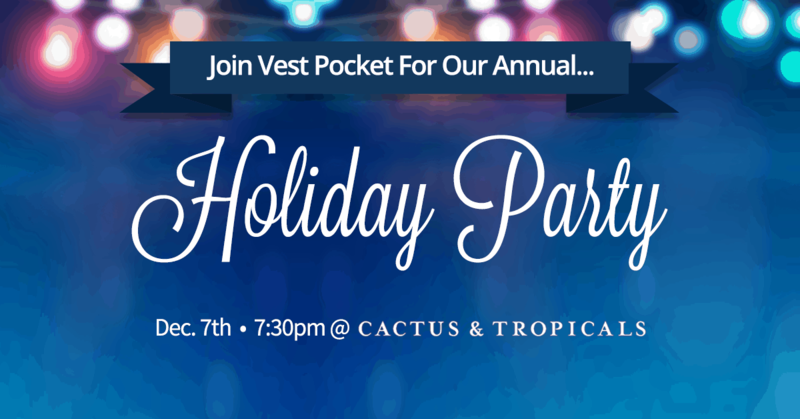 We’ll be enjoying great food and drink from local companies as we celebrate the holidays at Cactus & Tropicals. 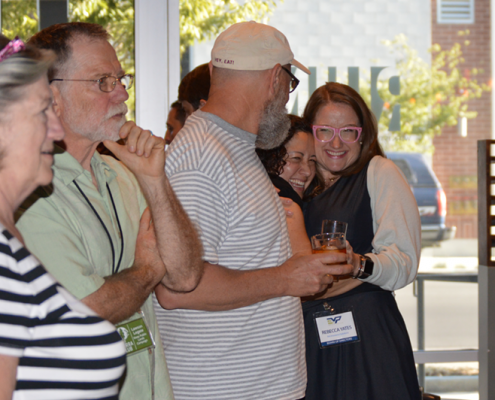 Reacquaint yourself with old friends and meet business owners and professionals who are part of our local independent business community as we close out 2017 and look forward to 2018! Please RSVP and invite your friends and colleagues to join, too. “Coalition & Cocktails” on Aug. 17th! 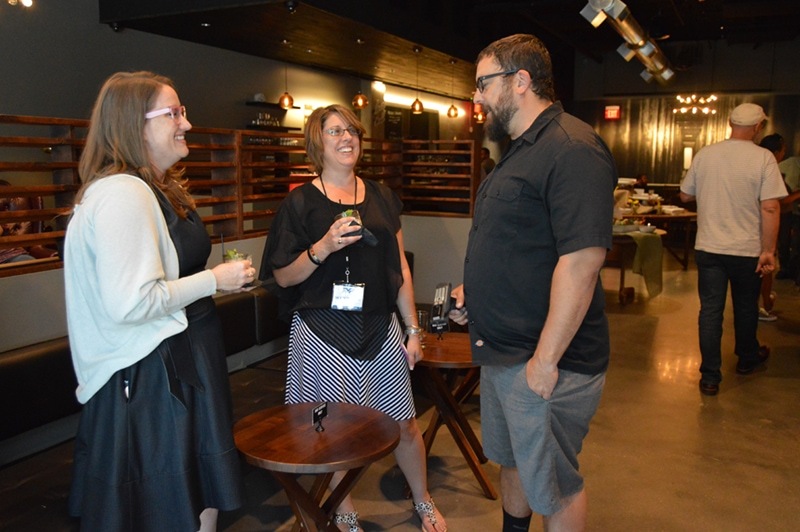 Just a few days left until our Summer Social. 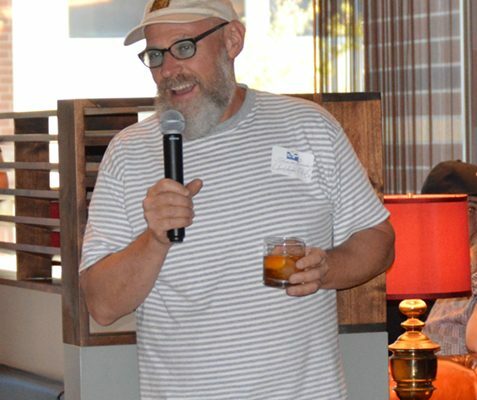 Cool off with us at our Coalition & Cocktails fundraising social on August 17th. 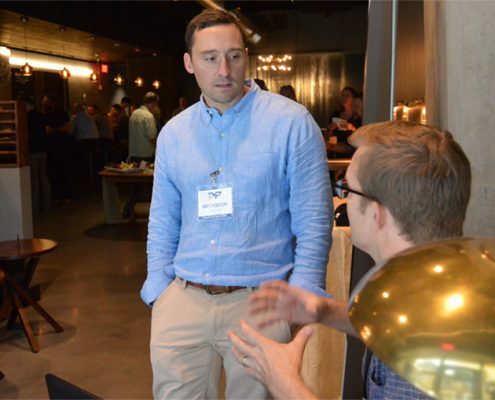 Enjoy a cocktail or beverage of your choice and learn about Vest Pocket Business Coalition and our mission to build a stronger independent business community in Utah. 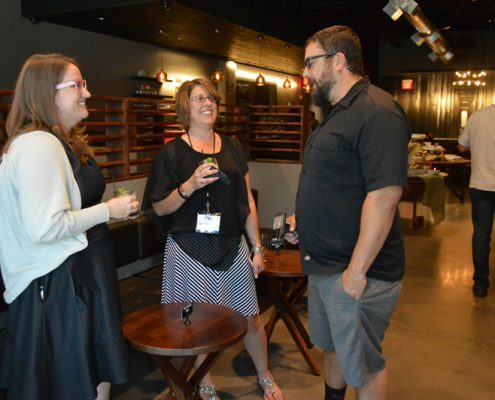 Get to know other area small business owners and hear how you can be a part of the Coalition’s advocacy, mentoring, and educational outreach efforts. Admission includes free hors d’oeuvres. There will be a cash bar for wine, beer, and cocktails. 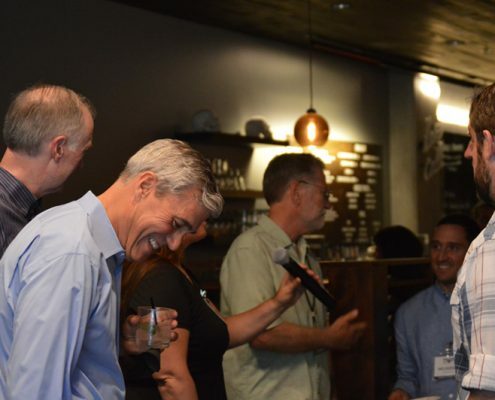 Join us after work on Aug. 17th at The RUIN in Sugarhouse. http://vestpocket.org/wp-content/uploads/2017/07/Summer-Social-2017-FB2.png 630 1200 Vest Pocket http://vestpocket.org/wp-content/uploads/2015/10/vp-logo.png Vest Pocket2017-07-25 06:08:122017-08-19 17:22:12"Coalition & Cocktails" on Aug. 17th!